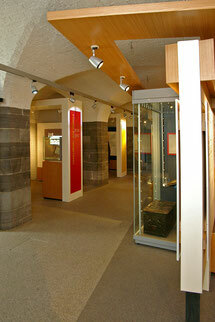 The Revenue Museum is located in the crypt of the Chapel Royal in Dublin Castle. 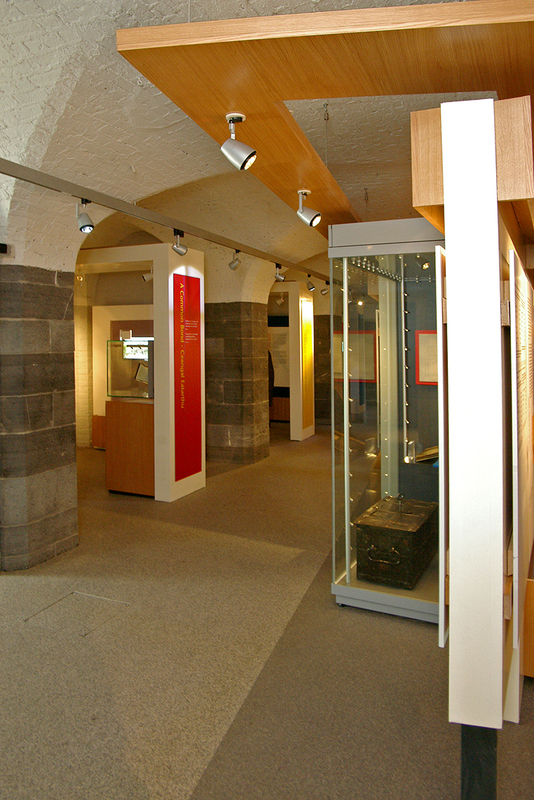 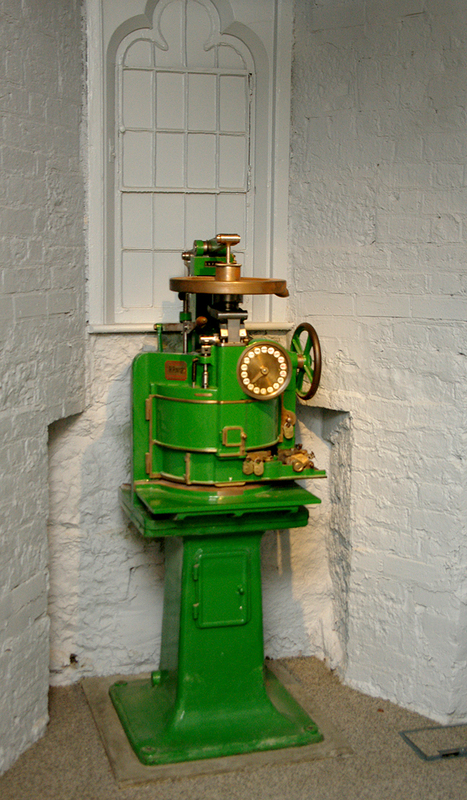 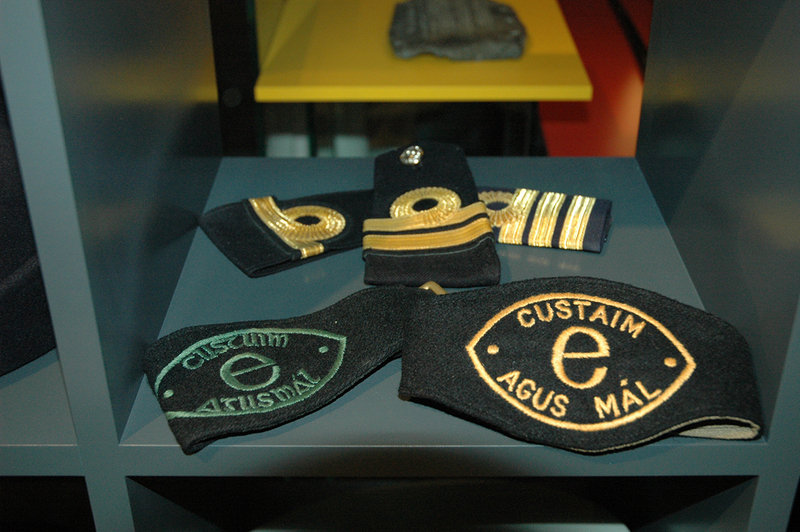 The Revenue Museum, which opened on 7 March 2008, offers a unique window on the many and varied activities of the Irish Revenue Commissioners, from tax collection to customs controls, over several centuries. 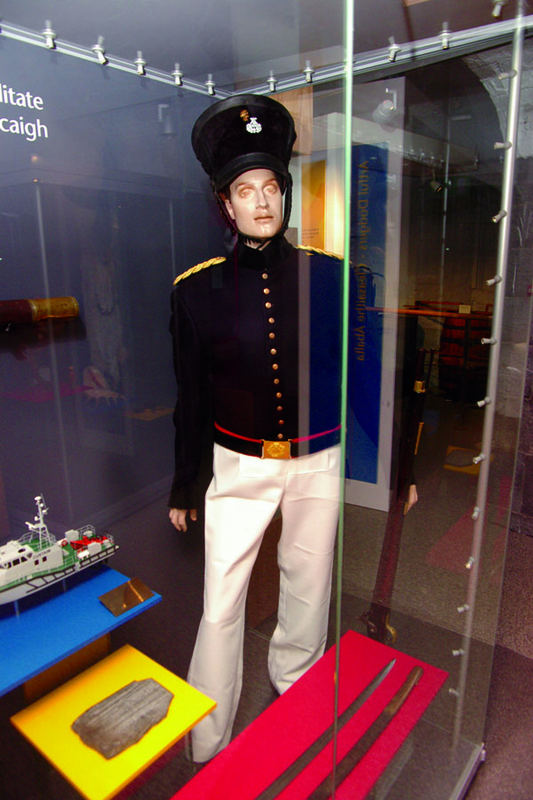 Our insightful displays will surprise and inform you. 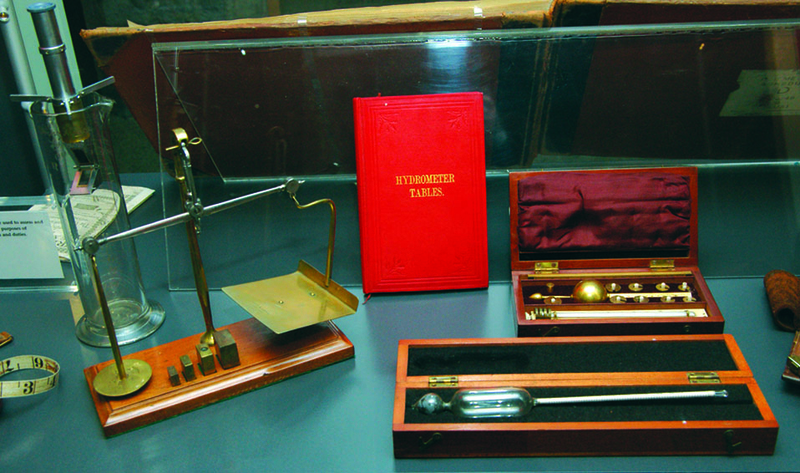 Among the many exhibits are the first set of Exchequer Returns for the Irish Free State, a still for distilling illegal spirits, a stamp duty machine, examples of counterfeit goods and endangered species seized at ports and airports, and a wide range of beautiful measuring instruments. 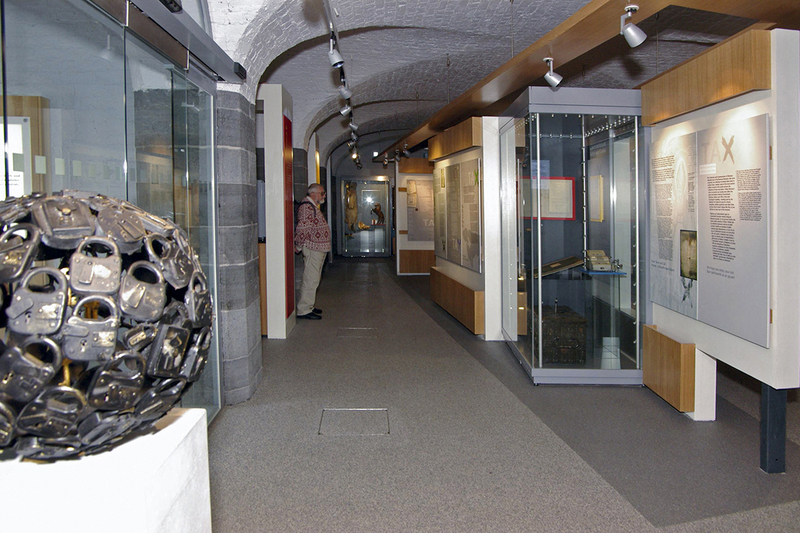 All of these items are housed in the atmospheric crypt of the Chapel Royal, located in the Lower Yard of Dublin Castle. 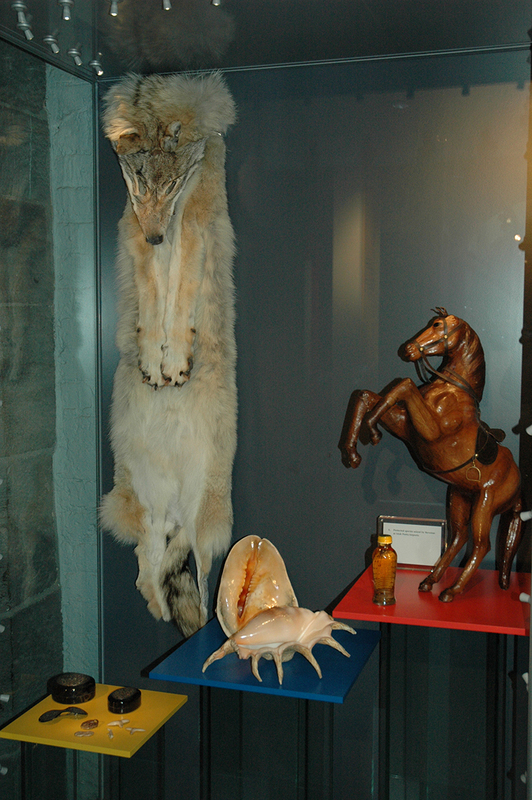 In addition to exhibits old and new, the Museum contains audio-visual displays and instructive video games. 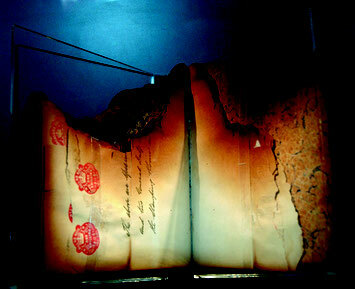 A fragment of a Stamping Register saved from the Custom House fire in 1921. 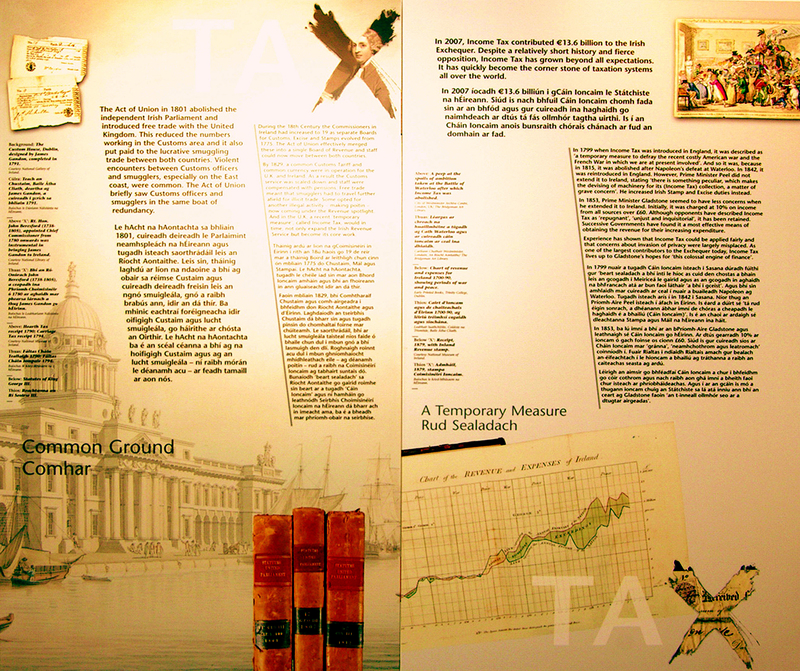 The Revenue Museum is currently hosting an exhibition: ‘Irish Fiscal Stamps 1922 to Date – A Visual History’. 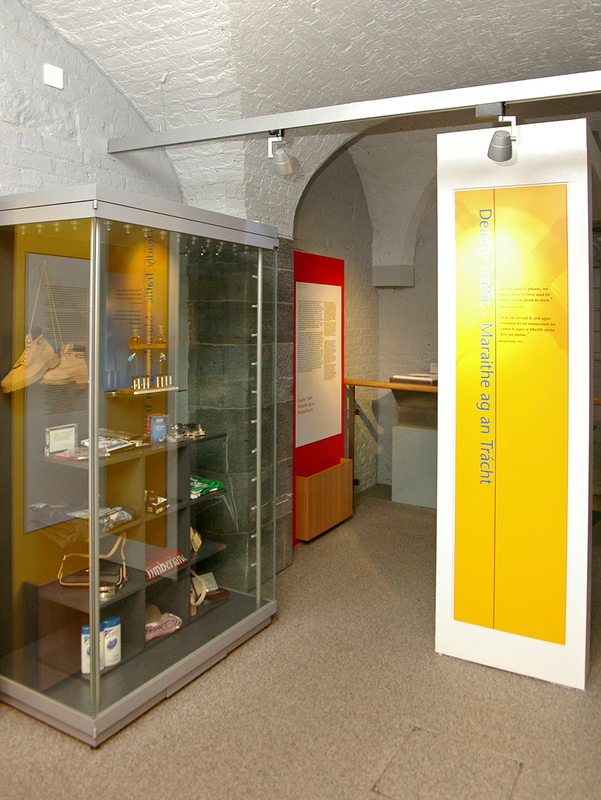 The exhibition provides a colourful introduction to the world of fiscal stamps – adhesive and embossed stamps that have been used for a huge range of purposes, other than posting letters and parcels. 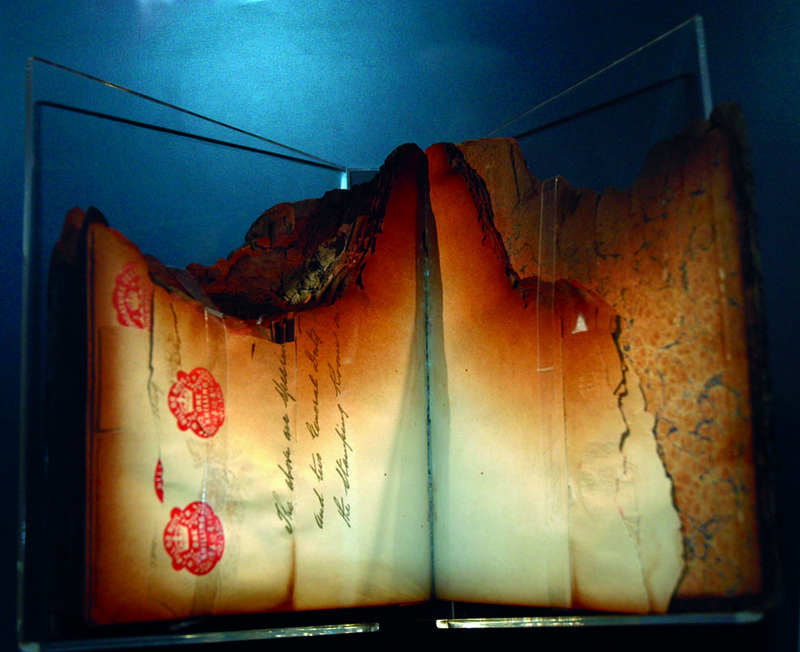 Revenue has been closely associated with the production and use of fiscal stamps since the Office was established in 1923, and this exhibition celebrates that long association and brings together for the first time a dazzling array of stamps, artwork and related materials.